The overall full-service restaurant industry takes in more than $263 billion in revenue each year, but well over half of that goes to the more than 247,000 independent, single-location restaurants across the U.S. 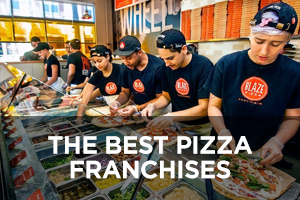 Entrepreneurs who want their share of the remaining $80 billion can buy into a proven franchise concept among the top 9 miscellaneous full-service restaurant franchises listed here. These are unique restaurant concepts that don’t fit neatly into one of the other lists where we have covered various kinds of restaurants. 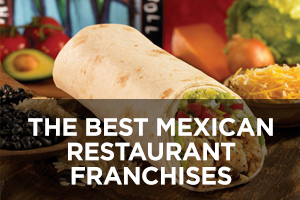 The restaurants on this list are all full-service concepts, as opposed to miscellaneous quick-service franchises, which are covered in their own list. 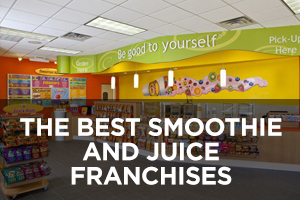 Four of the chains have achieved rankings on Entrepreneur magazine’s Franchise 500 list. 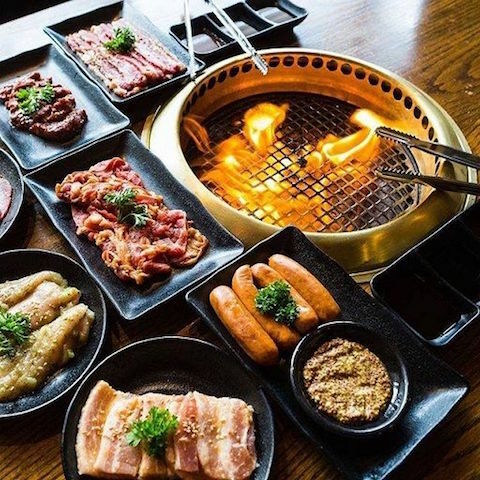 Gyu-Kaku Japanese BBQ Restaurant has created a unique concept that takes customer engagement to a whole new level in the full-service restaurant industry – the customers actually cook the food themselves using smokeless charcoal roasters that are built right into each table! Literally translated, “Gyu-Kaku” means “Horns of the Bull,” and customers seem to love taking the bull by the horns in cooking up cuts of beef, pork, poultry, seafood, vegetables, and desserts. The roasters have been carefully designed to force any smoke through special vents built into the roasters. It may sound strange for a restaurant not to have much in the way of cooking staff (such as an executive chef, sous chef, or pastry chef), but it works. Kitchen staff are essentially just prepping raw ingredients and delivering them to the tables. This style of grilled barbecue dining is called yakiniku in Japan. Among the most popular meat dishes are Harami Skirt Steak in Miso Marinade and Certified Angus Kalbi Short Rib in Tare Sweet Soy Marinade. 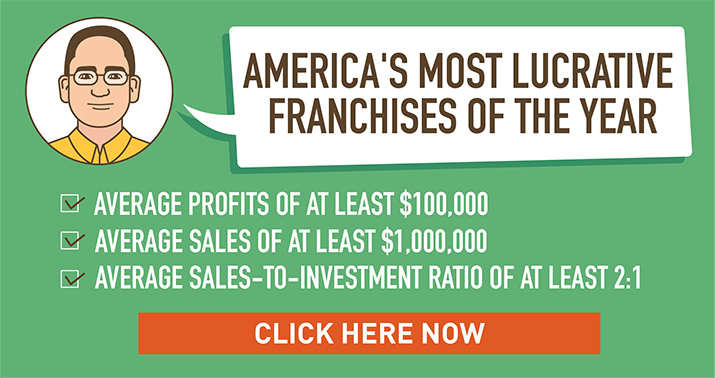 This company currently ranks #196 (up from #246 last year) on Entrepreneur magazine’s Franchise 500 list. Founded in 1996 and franchising since 1997, the number of locations has expanded in recent years to the current total of 727 (up from 722 last year), of which 21 are company-owned and 686 are located outside the U.S.
Golden Corral is a buffet-style full-service restaurant concept with a wide-ranging menu of “Real Homemade Fresh Food.” It offers breakfast, lunch, and dinner at every location. The endless dinner buffet features USDA sirloin aged and hand-cut daily by in-house butchers, as well as more than a dozen other protein options. The lunch buffet is full of home-style classics such as creamy mac-and-cheese, crispy fried chicken, made-from-scratch meatloaf, fresh-made mashed potatoes, and much more. The endless breakfast buffet features made-to-order omelets, pancakes, sausage and bacon, fruit, French toast, and more. The bakery buffet available at every meal includes fresh-baked breads, their signature yeast rolls, homemade cakes and pies, cookies, brownies, pastries, and ice cream. 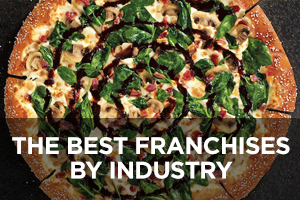 This company currently ranks #34 (up from #54 last year) on Entrepreneur magazine’s Franchise 500 list. 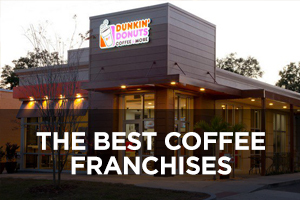 Founded in 1973 and franchising since 1987, the number of locations has held fairly steady in recent years and currently stands at 491, all of which are located in the U.S. and 43 of which are company-owned. The Melting Pot Restaurants is a full-service restaurant concept built around fondue, the dipping of food into pots of melted cheese (or chocolate in the case of dessert) that dates back to Swiss peasants of the 1700s. Customers can enjoy entrées such as filet mignon, lobster tail, sirloin, and chicken breast fondue-style, along with salads and desserts. Fondue-style dining is still a novel concept for a surprising number of people, and definitely has a kind of exotic feel for first-timers. The Melting Pot takes an upscale approach to the look and feel of their restaurants with dramatic black and red décor, dim lighting, and a selection of fine wines. The standard meal is a 4-course affair that starts with a cheese fondue (into which you dip pieces of bread, apples, and veggies), followed by a salad, a main course entrée, and a dessert fondue (usually chocolate, into which you can dip all sorts of things, such as brownies, angel food cake, strawberries, bananas, marshmallows, etc.). 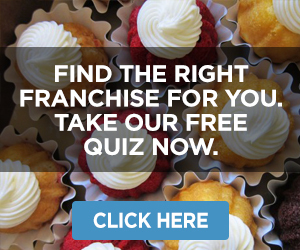 This company currently ranks #253 (up from #289 last year) on Entrepreneur magazine’s Franchise 500 list. Founded in 1975 and franchising since 1984, the number of locations has declined in recent years from a high of 144 in 2010 to the current total of 117, of which three are company-owned and five are located outside the U.S.
La Madeleine French Bakery and Café is a full-service café concept best described as a casual French country dining experience and is founder Patrick Esquerré’s way of recreating his fond memories of growing up with meals centered on homegrown, hand-prepared food, friends, family, and heartfelt conversation. Classic country French fare is served cafeteria-style for breakfast, lunch, and dinner in buildings designed to resemble restaurants commonly found throughout the French countryside and are decorated with farm tools and impressionist paintings. Throughout the winter months, each store’s authentic fireplace will have a heart-warming fire burning brightly. Guests are invited to linger over good food and conversation, the most important aspects of French culture. 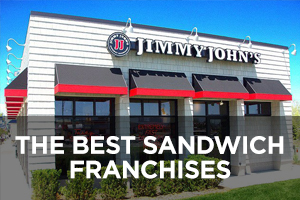 Founded in 1983 but only franchising since 2011, the number of locations has expanded in recent years to the current total of 80, all of which are located in the U.S. and 32 of which are company-owned. HuHot Mongolian Grill is a full-service restaurant concept centered around made-to-order Mongolian stir fry. Guests pick up a bowl and fill it with their choices from among 60 different ingredients that include meats, seafood, noodles, and vegetables; pour 5-6 ladles of sauce over it; then hand it over to a “grill warrior” who quickly cooks it up on a gigantic grill. And this is unlimited eating, so customers can “eat and repeat” to try a new creation. The twelve signature sauces range from non-spicy to extremely hot. The menu is rounded out with appetizers, soups, salads, and desserts. 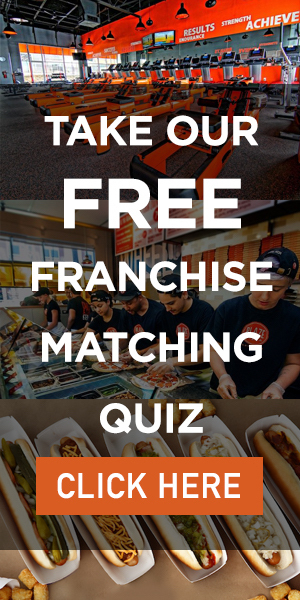 Founded in 1999 and franchising since 2002, the number of locations has expanded in recent years to the current total of 67, of which 21 are company-owned and all are located in the U.S.
Quaker Steak & Lube is a full-service restaurant concept revolving around a vintage car theme. 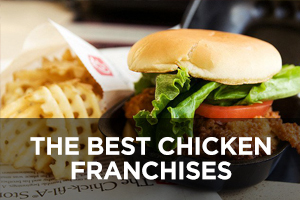 There are 15 menu categories that include Jump Starters (appetizers), Street Food (tacos and sliders), Sandwiched-In (5 signature sandwiches), Specialty Salads and Soups, Half Pound Steakburgers, Steak Dinners, Suped Up Steak Sandwiches, Main Street (8 other entrées), Custom Built Combos, Jumbo Bone-In Wings, Boneless Wings, Sidecars (10 sides), Kids Lube Cruisers (6 options for children), Finish Line Desserts, and Unleaded Fuel (non-alcoholic handcrafted shakes, sodas, and other beverages). Each location also has a full bar for alcoholic beverages. 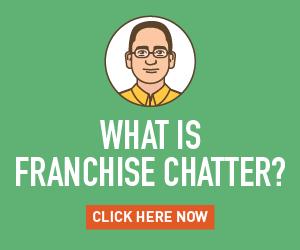 Founded in 1974 and franchising since 1997, the number of locations has declined in recent years from a high of 67 in 2014 to the 2017 total of 50 (the company hasn’t reported 2018 location data), of which 18 are company-owned and all are located in the U.S. The Captain’s Boil is a unique full-service restaurant concept on the theme of “Feast like a pirate, dine like a captain” that doesn’t even use cutlery! Guests are meant to eat with their fingers for a truly “hands-on” experience (pirate-themed bibs are available for those who want them). The menu is all about fresh seafood boiled just right and served quickly for the freshest experience possible, just like at an old-fashioned Cajun seafood boil. The restaurant also adds in an array of aromatic Asian spices that enhance the natural flavors of the seafood. The menu includes crawfish, lobster, Dungeness crab, king crab legs, snow crab legs, shrimp, clams, mussels, and one non-seafood offering in the form of chicken slices. Flavors that can be added include Cajun, Lemon Pepper, Garlic Sauce, and Captain’s Boil (a special blend of all three). Heat level choices include non-spicy, mild, medium, and fire. An array of sides and other add-ons are also available. 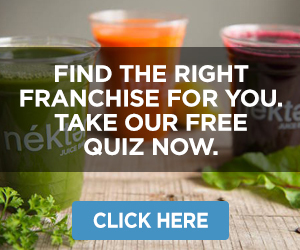 Founded in 2015 and franchising since 2016, the company website currently lists 26 locations, all of which are located in Canada. The Flying Biscuit Café is a full-service restaurant concept that celebrates southern-style comfort food for breakfast, lunch, and dinner, featuring the chain’s signature biscuits in a casual, friendly neighborhood atmosphere. Fresh ingredients are cooked up into dishes that have become synonymous with southern culture, but also updated with vegetarian, vegan, and gluten-free options, which makes the overall feel of the menu and the store eclectic or quirky. Every breakfast meal comes with a side of “creamy dreamy grits” and many also feature “oven-roasted moon dusted potatoes.” Other southern classics with a modern twist include turkey hash, oven-fried green tomatoes, biscuit chicken pot pie, and homemade turkey meatloaf. 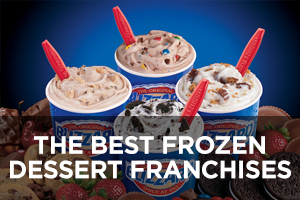 Founded in 1993 but only franchising since 2006, the company website currently lists 24 locations in Georgia, Florida, North Carolina, South Carolina, and Texas. The Lost Cajun was founded by Raymond Griffin, who is from the little island town of Barataria, Louisiana, just south of New Orleans. He’s on a mission to introduce authentic southern-style Cajun home cooking to more people. The menu features plenty of Cajun favorites, including fried catfish, 4 signature gumbo dishes, jambalaya, lobster bisque, 7 signature “Po-Boy” 8-inch sandwiches served up on garlic French bread, 9 other entrées with a Cajun twist, 17 Lagniappe choices (appetizers), and Beignets for dessert (fried pastry treats). The atmosphere is one that strives to make everyone feel as if they’re having a meal at a friend’s house with open kitchens, handmade wooden tales, and New Orleans décor. 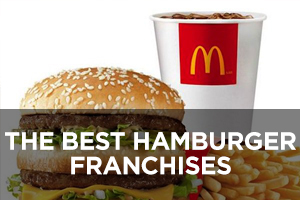 This company currently ranks #436 on Entrepreneur magazine’s Franchise 500 (its debut ranking on the list). 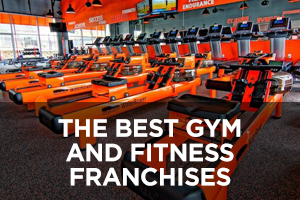 Founded in 2010 and franchising since 2013, the number of locations has grown to 24, of which two are company-owned, with another two listed on the company website as coming soon.